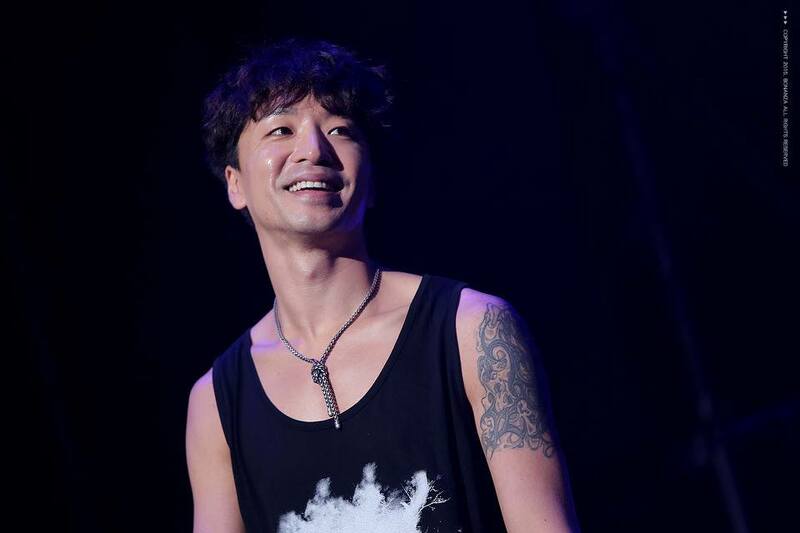 There are many aspects within the MFBTY band that Tiger JK, Yoon Mi Rae and Bizzy created. 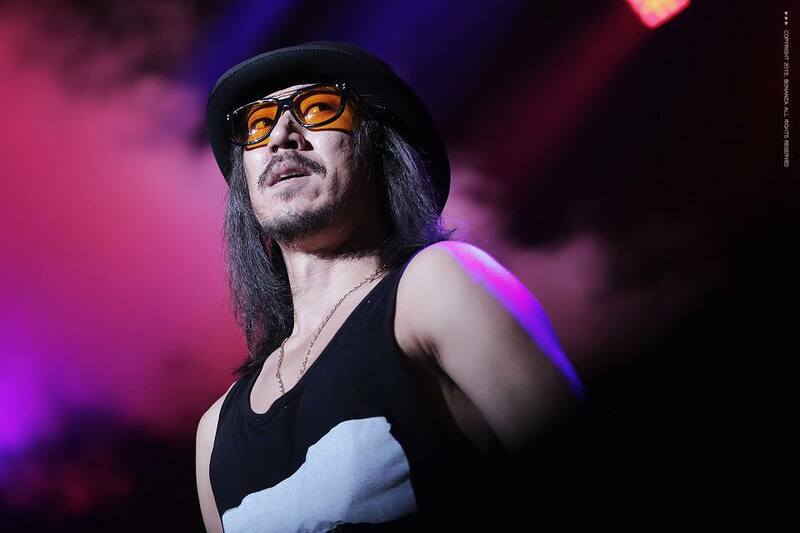 Even though Tiger JK was out of the mainstream spotlight for over three years while he was going through the hardest moment of his life (the loss of his father), he didn’t lose the spark. Instead, he came back stronger than ever. 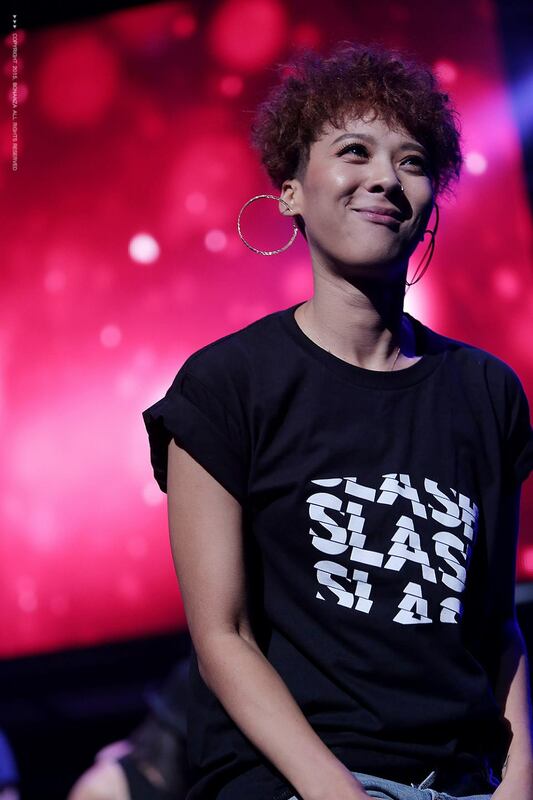 With his long time friend, Bizzy, and his wife, Yoon Mi Rae, by his side, MFBTY wows the crowd and freshens the eardrums every time they step on to the stage. An interview filled with surprises, MFBTY speaks about their music and fashion style. What was the reason you decided to form a band? Were you all originally close? Bizzy – We’ve been on the stage together for over 10 years so we are like brothers. We started out by recording tracks freely with no confinements and one thing led to another and ended up making a full album. JK –Bizzy is like my brother. Because we have different styles in our music, something interesting comes out whenever we work together. There are over 30 tracks in our hands that we recorded that haven’t been released yet. Tell me about how “WondaLand” came about. What do you think about it being voted as one of the top 25 world items by MTV Iggy? JK – A lot of people still don’t recognize the name MFBTY, but MTV IGGY named us one of the best albums this year. We’re very proud. I heard the name MFBTY came from the fans, but it’s a hard name to remember. I’ve heard on the radio people asked you to change it to “YoonMiRae and the Flowers.” Have you thought of changing it? Bizzy – The name is hard, you’re correct. However, we plan to keep the name as it was created by our fans. l like the name “YoonMiRae & The Flowers” though. JK – I want to try “YoonMiRae & The Flowers” for one project. The name MFBTY was created by our fans abroad as K-pop became internationalized and for that we are very thankful. together peacefully with one another”. What’s the message you are hoping to convey to its listeners? Bizzy- That’s the message we wanted to convey in the album. Love and peace. I think that’s the message we need to share now. You’re not new artists, but you’re living like new artists. Every time a new album comes out, you have a new style to show. Where do you get inspiration for these new sounds? JK – I gain ideas and inspirations from the smallest of things to the big things that are happening around the world including books, movies, fashion, arts, news and dreams. These are all my tools for my work. Who’s your favorite designer currently? I’ve been checking out the collection from this new LA designer, Mike Amiri. There’s a boxing scene in Angel. I hear you enjoy exercising. YoonMiRae’s use make up too? unique directional paths that whenever we have a shoot, it feels like we are being transformed with make up and styling that looks like we are wearing costumes. (Laughs) But on our days off, I don’t even put skin lotion on because I can get lazy. What are 3 items you always take with you? My father’s ring, his necklace, and his notebook. You have some songs thatyou dedicated only to YoonMiRae. Yes, “Undying Soul (DT6) and “Congratulations (DT8)” are a few of the ones I dedicated to her. What’s your drink of choice, Tiger JK? JK – From time to time, I enjoy a beer or two. What are some of the tracks that touch your heart every time you hear it? Heaven.” We tend to get different things out of music depending on when and what you listen to. There are many many songs that touched my heart. I’d be able to write a book listing them all. What do you think is the most important thing to remember when you put on your clothes? I care about the fit and comfort. I stick to one type of style rather than trying different styles. Is there any fashion item that you’re holding on to? What are 3 items that you always bring with you? My cellphone, my purple headphones, and my credit card. You’re Korea’s hiphop couple, but who prepares breakfast in the morning? I’m always busy in the morning, so I usually miss breakfast. When it’s not so busy, we prepare breakfast together. Do you ever match your clothes with Jordan? I’m not into the couple clothing thing, but we tend to match in color. For example, I’ll wear a black tee and then Jordan will wear black sneakers. Where do you get your style inspiration? I look for comfortable looks. I like the sharp look of gray especially. When I listen to the music I make, I think “Ah, this song is like the style I wear.” I think like that a lot. Do you have a favorite musician? HIll, Frank Ocean… I really like them a lot. You have a style that’s a unique for a hip-hop artist. Do you have a styling tip you want to share? for things that are light and well fit. 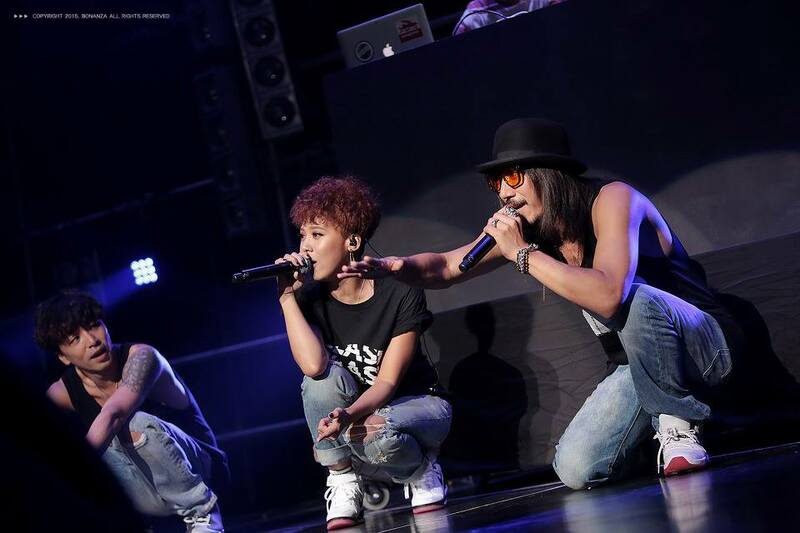 How is working with Tiger JK & YoonMiRae? are like family. We see each other often because we’re in the same neighborhood. I heard you’re popular overseas and that fans propose to you? Do you have an ideal type, Bizzy? Where would you take a girl you like? I’d like to show her around. I’d like to go to the boxing ring together and then to the studio. Then suddenly, we’d go on a trip somewhere far. What’s a fashion item that you cherish? My glasses, my bracelet, and my earphones. What’s an item that you collect? I like to collect sneakers and watches. .